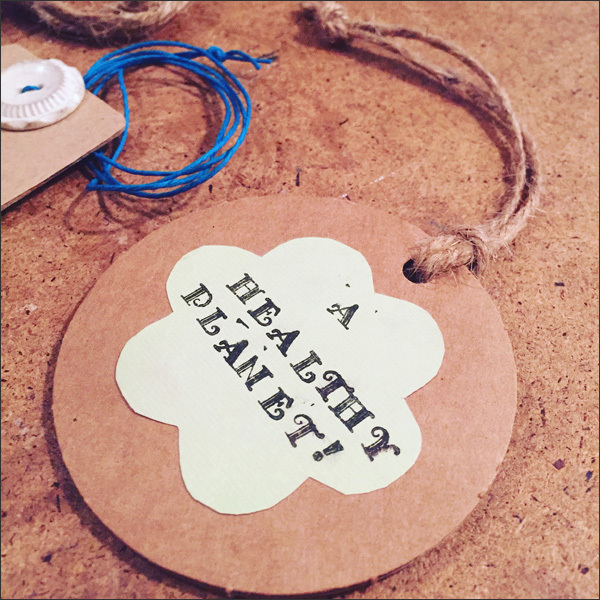 Here's a quick post about my prep for the DIY name tag project for Dudoc Vancouver's Earth Charter Day celebration. 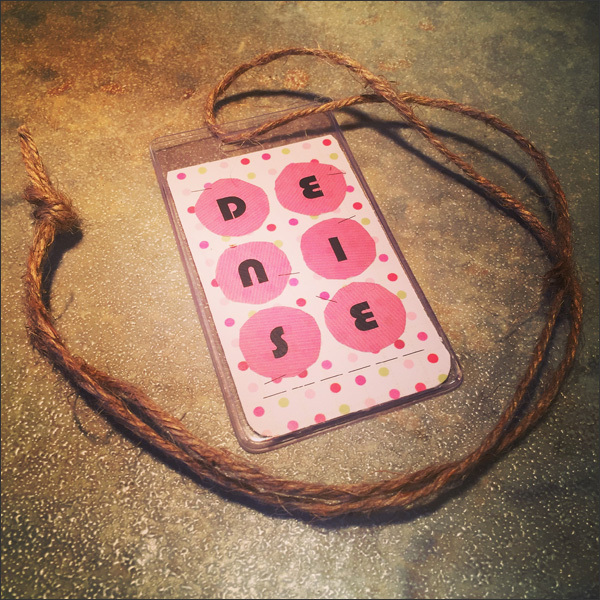 I made name tags out of upcycled finds from Urban Source on Main Street. Oh man an upcycler's dream is Urban Source. All this for $5. Total score! 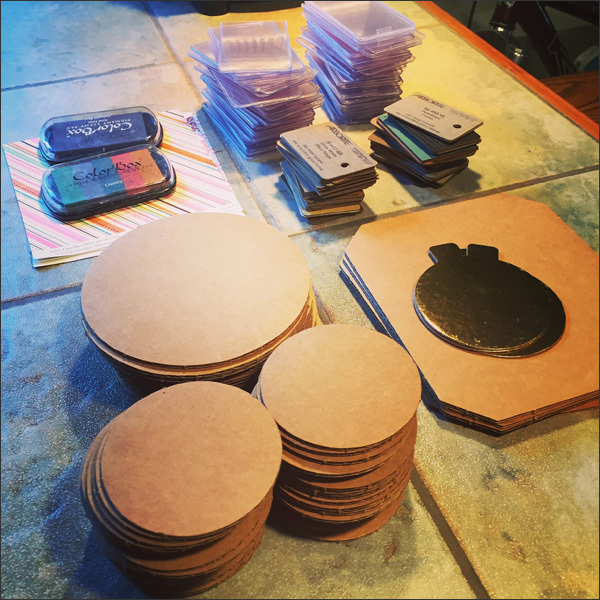 Gently used ink pads, cardboard rounds, laminate samples, plastic cases and more. 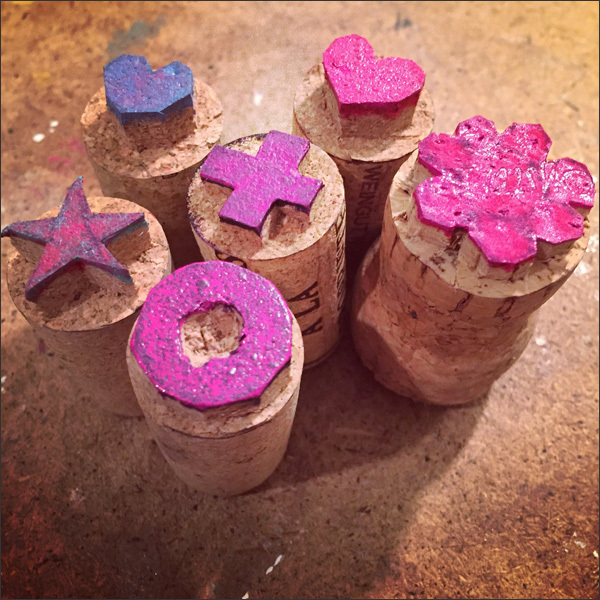 Since I had all these awesome ink pads why not bring upcycled wine cork stamps. I brought hearts, stars, x's and o's. 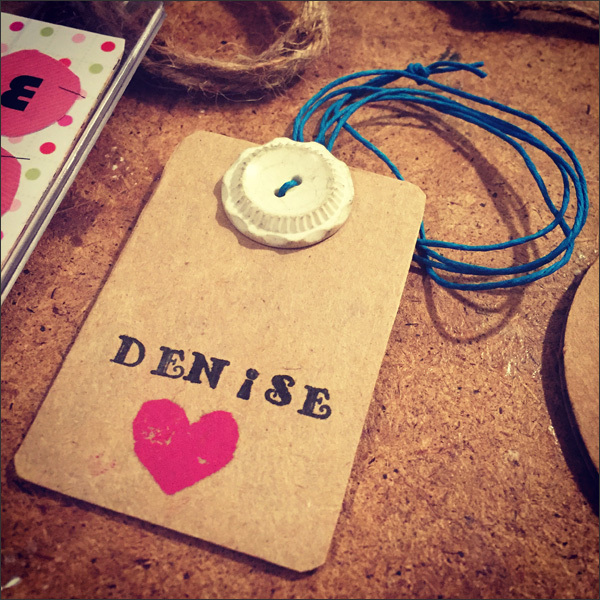 Perfect for adding a bit of pizzazz to a name tag! First sample name tag was made out of an upcycled cereal box. 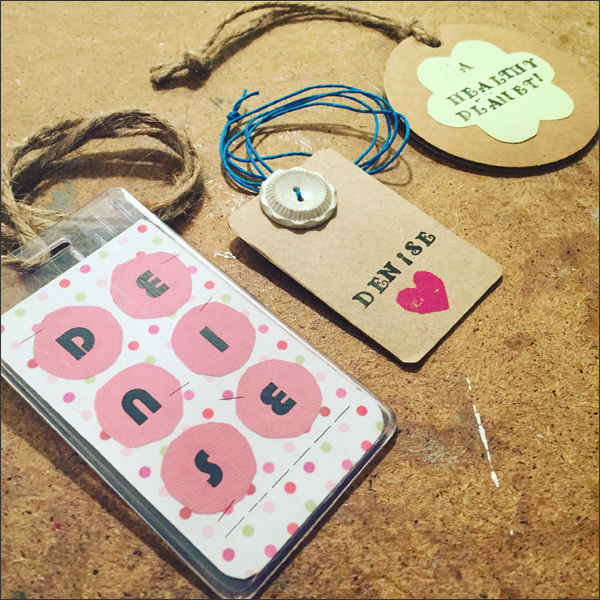 I glued patterned paper to one side then added circles and letters for my name. I then slid it into the plastic case and added jute. Kind of funsie and cute! Next up was using this super sweet stamp set a friend gave me. I also had a stash of brightly coloured hemp. Finally I made a wish for the tree. Attendees were asked to share their wishes for the Earth Day Charter that were to be hung on a tree. This was mine using an upcycled cardboard round and scrap paper plus some fancy dancy stamping. So that's it... Simple projects made out of 'junk'. 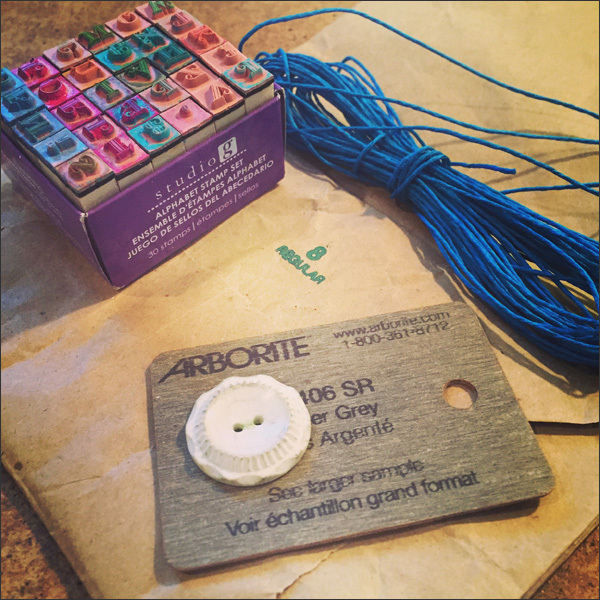 Loved revisiting Urban Source and finding some pretty awesome crafty treasures! Also adored these easy projects perfect for a soiree.